The perfect snack. Healthy, simple and super quick to make but most importantly – really tasty! The figgy balls keep for two weeks, take a few to work & you can snack happy. Blitz 30g of the cashew nuts in a food processor until they resemble dust – pour onto separate plate. Chuck the left over cashews, seeds of your choice (or my fave Lidl mix! ), diced dried figs & puffed brown rice into the processor and blitz until fine. Add the spices (cinnamon, ginger & nutmeg) and the honey – blitz again until the mixture binds (use your common sense with this one). 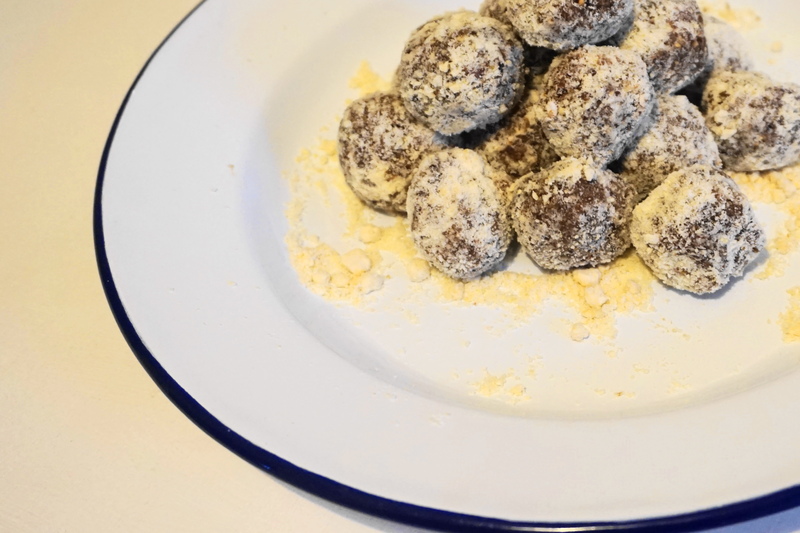 Next roll into bite sized balls – shake them about in the cashew dust you made at the beginning then in the fridge!